This is the best way to reheat pizza in my opinion. Reheating pizza in the microwave alone gives you a sodden crust but don’t abandon your microwave completely! Microwave a slice for 30 to 45 seconds and then put the piece in a preheated frying pan. The crust crisps up in a minute or two. Watch that it does not burn. You end up with warm toppings from the microwave and a crisp crust from the frying pan. Good as new! 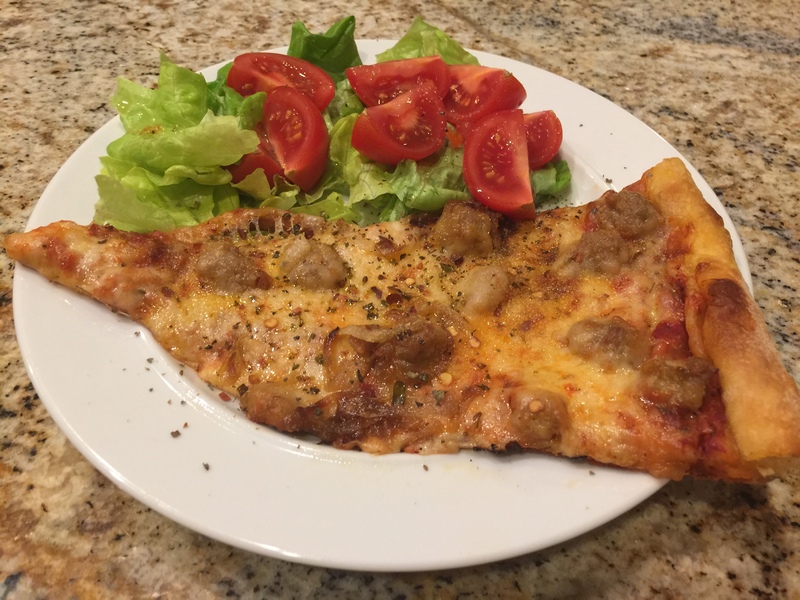 This entry was posted in leftovers, Vegetables and tagged green salad, leftovers, Pizza. Bookmark the permalink.